Reach Copenhagen within 1 hour by car og use the local train and the S-train – stops only 5 minutes walk from Sankt Helene and runs twice every hour. Tivoli Gardens amusement park in Copenhagen is a must for all visitors to the city, young and old. Tivoli is located just a few minutes walk from City Hall, and with the Copenhagen Central Station as its nearest neighbour it is very easy to get to. 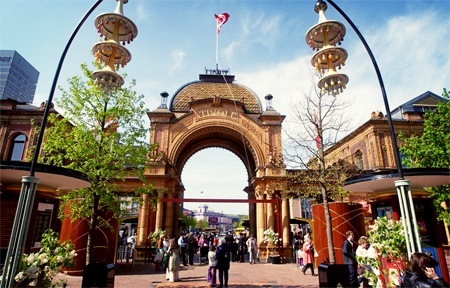 Tivoli Gardens was founded in 1843 and has become a national treasure and an international attraction. Fairy tale writer Hans Christian Andersen visited many times, as did Walt Disney and many other celebrities, who all fell in love with the gardens. Part of Tivoli Gardens’ secret is that there is something for everyone. The scenery is beautiful with exotic architecture, historic buildings and lush gardens. At night, thousands of coloured lights create a fairy tale atmosphere that is completely unique. Freetown Christiania is a green and car-free neighbourhood in Copenhagen, best known for its autonomous inhabitants’ different way of life. It was established in 1971 by a group of hippies who occupied some abandoned military barracks on the site and developed their own set of society rules, completely independent of the Danish government. 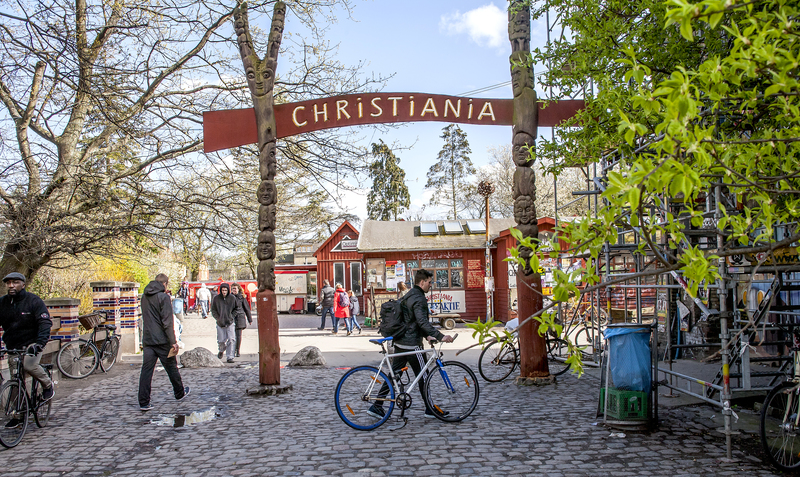 Freetown Christiania is a mix of homemade houses, workshops, art galleries, music venues, cheap and organic eateries, and beautiful nature. It is still a society within a society, for an example you cannot buy a house in Christiania. You have to apply for it, and if successful, it is given to you. The area is open to the public – even with guided tours, run by the local Christianites. For your own safety, visitors are advised not to film nor photograph in Christiania, especially not in the area in and around Pusher Street, mainly due to the hash dealing, which is illegal in Denmark. At the entrance you will find signs indicating ‘do’s and ‘don’ts’ in the area. We advice you to take them seriously and follow them for your own safety. 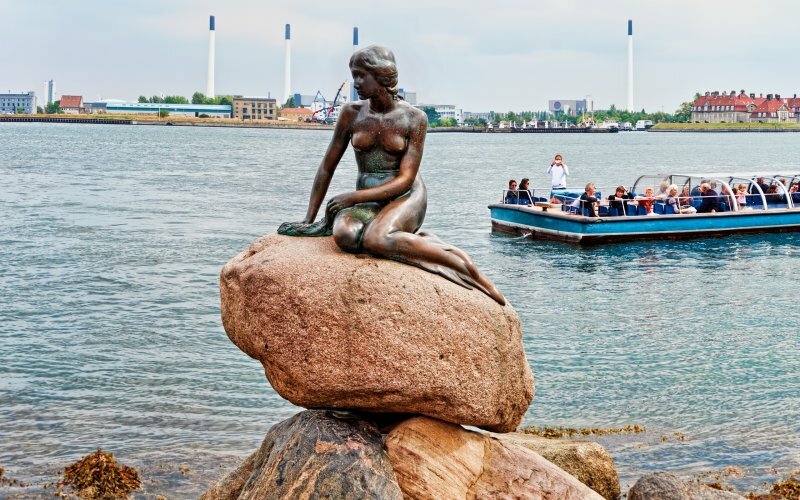 At Langelinje Pier you will find one of Copenhagen’s most famous tourist attractions: The sculpture of The Little Mermaid. 23 August 2013 she turned 100 years old. Unveiled on 23 August 1913, The Little Mermaid was a gift from Danish brewer Carl Jacobsen to the City of Copenhagen. The sculpture is made of bronze and granite and was inspired by Hans Christian Andersen’s fairy tale about a mermaid who gives up everything to be united with a young, handsome prince on land.